People’s World correspondent Al Neal reports from Brussels, where the EU27 has been meeting to decide Britain’s fate. 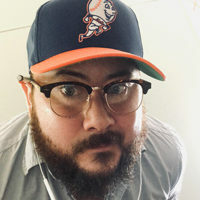 His earlier dispatches from London are available here. BRUSSELS—British Prime Minister Theresa May didn’t get a chance to relax, or sip Belgium’s Delirium golden ale, or enjoy pomme frites for dinner last night in the European Union’s capital. Instead, May was shown to the Brexit canteen to select from a wide range of EU withdrawal options—elegantly tailored to try and fix the political mess she created. 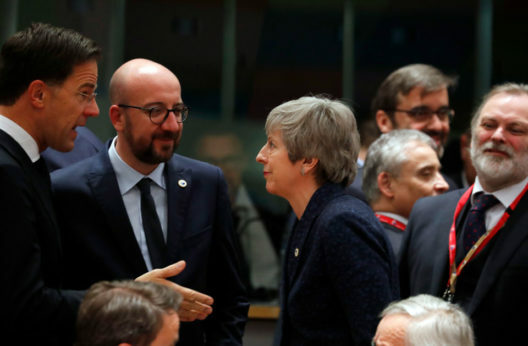 Yesterday, after seven hours of discussion at the EU27 summit, EU leaders did not approve May’s requested June 30 Brexit extensions. May was alternatively given a two-week lifeline to prevent a hard-crash out of the EU next Friday, which she wholeheartedly accepted. 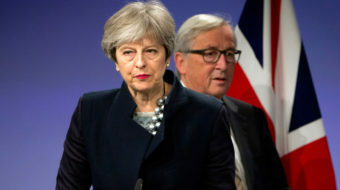 At the summit, European government leaders told May that if British lawmakers didn’t approve her current Brexit deal next week, she will have until April 12 to either leave the EU without a formal withdrawal agreement (no-deal Brexit) or request a much longer extension. In the perfect world of politics—which we know will never exist—if British MPs give a green light on the twice-rejected Brexit deal in the next week, the U.K. will have until May 22 to finalize its withdrawal—a day before the scheduled EU Parliament elections. In a roundabout way, this simple scenario gives May a powerful threat to make against pro-Brexit hardliners in her Conservative Party: Back my deal or get trapped in EU limbo, possibly forever. Complications arise, however, if the House of Commons again opts not to approve the Prime Minister’s Brexit deal. If that’s the case, a crash-out will only be delayed until April 12. That date is key because it is the deadline for candidates to file their intention to run in the European elections, and EU leaders are adamant that the U.K. cannot participate unless it delays Brexit altogether. If no new deal is reached and the U.K. chooses not to take part in EU elections, then everything goes back to a no-deal scenario, with a possible forced departure on that deadline of April 12. May’s acceptance of the two-week delay was a sigh of relief, if perhaps brief, for EU leaders. 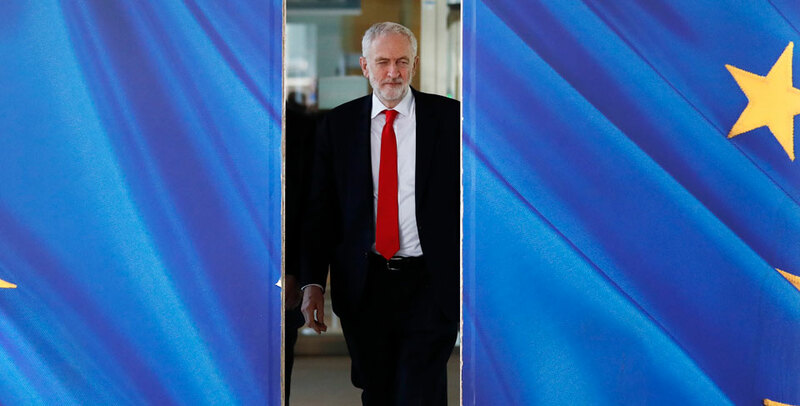 Labour Party leader Jeremy Corbyn also traveled to Brussels yesterday for his own talks with EU leaders, including Michel Barnier, the EU’s chief Brexit negotiator. Corbyn’s meeting was scheduled before May’s EU Council meeting. Corbyn called his discussions with EU leaders “very constructive” and believes building a majority in Parliament for Labour’s alternative Brexit plan is possible and he is “absolutely focused” on that goal. What to expect from Parliament next week? Besides the PM’s third attempt to get her Brexit deal approved, Parliament will consider an amendment from Conservative MP Sir Oliver Letwin, Labour MP Hilary Benn, and several other cross-party members that would give the House of Commons control of Brexit’s next steps. The original cross-party amendment was defeated by only two votes last week, but supporters of the amendment are confident they can now reach a majority. McDonnell’s comment follows the joint letter sent by the Trades Union Congress and Confederation of British Industry to the PM yesterday. The unlikely between partnership between the top groups representing labor and capital respectively called on May to urgently change her Brexit approach to avoid any no-deal Brexit situation.